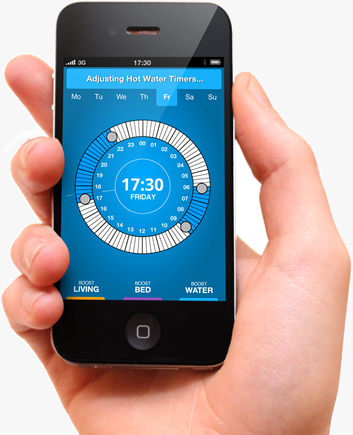 Whether you are a Smartphone user or prefer a standard mobile phone, using your mobile phone to manage your home heating with climote is easy, efficient and reliable. Your Smartphone is a powerful tool that can help you control heating, edit settings and more. And your mobile phone gives you direct access to your home heating even without a data signal. 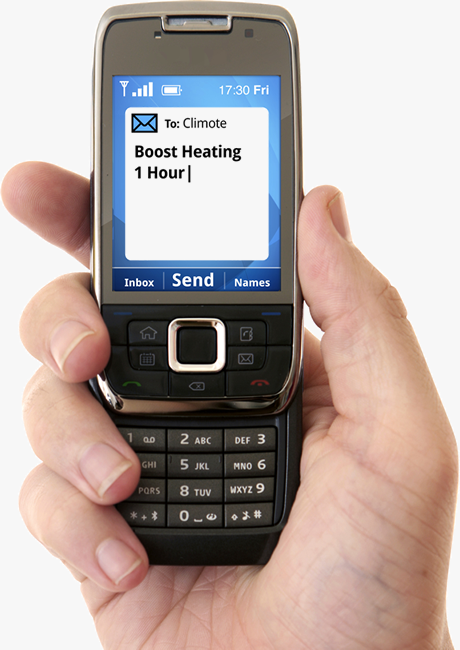 For Smartphone users, the climote iPhone app for home heating turns your mobile phone into a remote control heating device. An Android app for home heating is also available. You get fast access to the main heating controls including boost, editing existing programmes and more. Standard mobile phone users can text climote specific commands quickly and easily. You get direct control over important functions like boosting your heating when required or activating existing heating programmes. Now you can ‘text on’ home heating ensuring you get arrive home to a warm house.